Our goal is to ensure that every guest experiences a pleasant and comfortable stay at the Comfort Suites Miami Airport North. 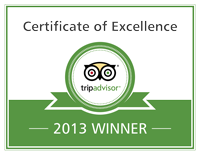 Our hotel is committed to continuing to improve and we welcome your comments. Please do not hesitate to contact us with any questions, comments or suggestions. This does not appear to be a valid phone number. Please use only numbers, (), +, - or . in your phone number. You can also call us Monday through Friday from 9am to 5pm Eastern at 305-888-8404. The Comfort Suites Miami Airport is committed to diversity, inclusion and accessibility. These core values are fundamental to the way we do business and manifest themselves in the experiences we design for people–both at our resort and on the web. With this in mind, we are actively taking steps to improve comfortsuitesmiamiairport.com and to the extent practicable ensure it complies with the best practices and standards defined by the Web Content Accessibility Guidelines (WCAG) 2.0. In order to maintain an open channel of communication with our users, we welcome feedback on the usability and accessibility of the company's website. Questions or concerns about the accessibility of the comfortsuitesmiamiairport.com should be directed by email to accessibility@comfortsuitesmia.com.